Prescription drugs can have many serious side effects in addition to the medical benefits they provide. Most pharmaceutical companies are multi-national corporations that make billions of dollars per year on the sale of prescription drugs distributed worldwide. Some of the drugs they sell are placed on the market before all of the side effects of the drugs are fully understood or even when testing shows serious health risks associated with a particular drug. 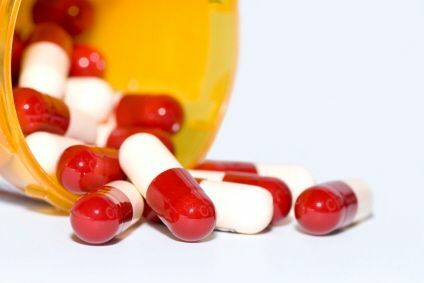 The competition among drug companies to develop and place on the market the next “blockbuster” medication sometimes causes them to rush a drug to the market before they fully understand all of the risks associated with long term use of that medication. In order to get doctors to prescribe medications, drug companies down play risks and place inadequate warnings on labels of known risks of those drugs. Drug companies employ aggressive marketing programs directed at both the prescribing physicians and consumers in order to convince them to prescribe and/or ask their physicians for particular drugs. We have all seen our television sets flooded with commercials about new medications or the next miracle drug that is being placed on the market. Many of these drugs can cause serious injury and even death. Nuva Ring – Since being approved by the FDA in 2001, NuvaRing users have reported more such side effects than are usually seen with other hormonal forms of birth control. These NuvaRing side effect reports include incidences of blood clots, strokes, heart attacks, pulmonary embolism and death. Ortho Evra – The patch, manufactured by Ortho-McNeil, has been aggressively marketed to consumers and doctors as a convenient alternative to oral birth control pills. Approximately 4 million women have used the Ortho Evra Patch since it went on sale in 2002. Earlier this year the Associated Press reported that patch users suffer blood clots and die at a rate three times higher than women taking the pill. Duragesic Pain Patch – Made by Johnson & Johnson, the Duragesic patch has been linked to a defect that causes the fentanyl gel to leak out of the patch, completely nullifying the time-release. This overdose of medication has been linked to hundreds of deaths. Bard Composix Kugel Mesh Patch – The “memory recoil ring” that is so critical to the patch is prone to breakage during the stress of placing it inside the body. If the device breaks, it can cause a number of serious and potentially life-threatening complications, such as a bowel perforation, chronic intestinal fistulae, or abnormal connections of passageways between intestines and other gastrointestinal organs. Avandia – The New England Journal of Medicine released an article in May of 2007, that showed a link between Avandia and a increased risk of heart attacks. This analysis from the medical journal used 42 different studies to show that Avandia patients are at a 43% greater risk than those not taking the drug. Fosamax – Studies have actually proven that Fosamax leads to the development of osteoporosis within the patient. Also, the drug is linked to another painful side effect known as Osteonecrosis of the Jaw (ONJ). This irreversible bone disease is actually the breaking down of jaw bone tissue, and it can lead to another complication including mouth ulcerations, infection, osteomyelitis (inflammation of the bone marrow) and non-healing wounds. Accutane – Frequently prescribed for common acne, it has a number of serious and lethal side effects, including birth defects, depression, suicide, Irritable Bowel Disease (IBD), Crohn’s disease and Colitis. There have been nearly 150 suicides with direct links to Accutane, over 1,000 reported birth defects and over 10,000 miscarriages. In addition to prescription drugs, many similar companies develop and market medical devices that doctors place in patients. Many of these devices are defectively designed or carry inadequate warnings about the risk associated with using them. Examples of this are things such as pacemakers, stints and even joint replacements. Like medications many of the risk of using these products are not fully known before they are put on the market. The Moody Law Firm, Inc. is also capable of representing you in claims pertaining to medical devices which cause injury.